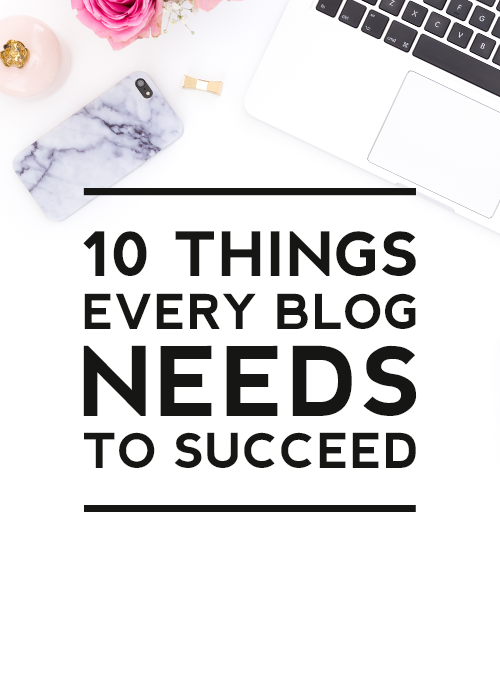 If you find that your blog traffic is not reflecting your efforts on your blog, take a look at our recommended essentials each blog should have to succeed. 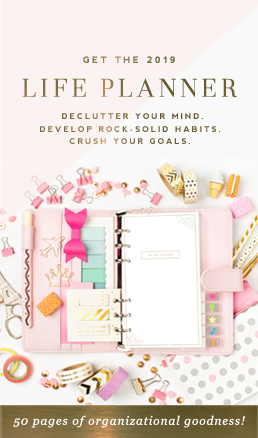 These tools and functions should be a part of your foundation along with your quality content for your blog to connect with your readers and boost your blog traffic. Have a search box or search widget on a prominent place on your blog to help your readers find exactly what they want. If the majority of your first time blog visitors are from search engines or external sites such as Pinterest, help make it easy for them to find the topic or post they came searching for on your blog. 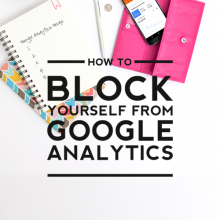 Without a search function, you may be losing visitors when they can’t find what they want. 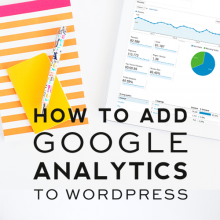 This can quickly be deciphered by checking your visitors bounce rate on your blog statistics using an analytics service such as Google Analytics. Navigation is one of the most important parts of a blog. Easy to read and find navigation can make or break a blog’s success. Help readers easily navigate your blog by having your navigation be large, use an easy to read font, and in a prominent place on your blog such as on the top of your blog or right below your header or on your sidebar. For a font, use fonts that look similar to fonts you would find in a book or newspaper. Make your navigation one of the first things readers can see on your blog when it loads. Help your readers stay up to date with your blog posts by having a subscribe function on your blog. 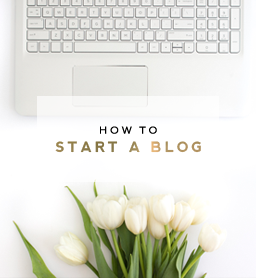 This is the most important step to quickly grow your blog. If your readers can’t stay up to date with your posts, they have no opportunity to visit your blog post and interact with your content. Use a widget from your blogging platform or an external site such as Bloglovin or Feedburner to allow readers to subscribe to an RSS feed to know every time you post. Promote your social media and encourage your readers to connect with you on other platforms by having buttons or links to your social media on your blog. Having your readers follow you on other platforms helps because you have multiple opportunities for your readers to know of your latest blog update if they miss it on one platform. The most popular place for social media buttons is on your sidebar but your buttons can also be on your navigation menu or above your header. Make sure your social media buttons or links are easy to use. If your blog theme permits customizations, add a small widget leading to your social media platforms to give your readers a glimpse of your social media to encourage them to follow you. Interact with your readers by allowing your readers to comment on your posts. This allows you to receive feedback on your content to see if you are going in the right direction with your content. If you never receive feedback, it is difficult to improve. Commenting also opens up the chance to develop deeper connections with your readers and is an important aspect of the blogging community. If you are concerned about spam, use an anti-spam service or turn on moderating your comments to ensure each comment has to get your approval before being posted to prevent spam. Make it easy for your readers, brands, and potential collaborators to contact you by having a contact form on your blog. Having your email on your blog adds a risk of attracting spam to your inbox and the extra step of copying your email to paste into a new email adds an unnecessary barrier for your readers to contact you for a quick 2-second question. Create a separate page dedicated to your contact form or have a pop-up contact form function to easily allow your readers to quickly message you with a question or an opportunity. Help keep your blog readers up to date with your blog posts by having an email newsletter. This is essential to help your blog grow and establish a dedicated audience by helping foster a relationship with your readers. You can use the email newsletter to keep your readers updated on your posts, special events or promotions, blog news, and other important information exclusively for your readers. Use a widget or plugin to offer a sign-up function on your blog to allow your readers to sign up for your newsletter. Readers who sign up to your newsletter want to stay up to date with your blog content. Help make it easy for them by having your newsletter sign up in an easy to find place on your blog. A pop-up newsletter sign up window is another easy way to encourage signing up for your newsletter. Make it a one-click step for your readers to share your blog posts with their friends, family, and followers on their Twitter, Facebook, and Pinterest accounts. This is one of the easiest ways to boost blog traffic as your readers help promote your content online. Help encourage sharing by using a widget or plugin that allows your readers to share your post on all of their favorite platforms. Place the share buttons on the bottom of your blog post so that your readers will be prompted to share after reading your post or have a widget that keeps your share buttons on the side of your blog. The about me page is your first opportunity to let your readers and first-time visitors know about your blog. This important page should include all of the general information you would like for your readers to know about you and your blog. Include information about yourself and your blog’s purpose and what readers can expect along with why they should follow your blog. 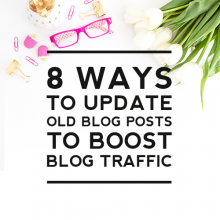 To boost traffic, include a small selection of posts that showcase your best blog content such as your most popular posts or posts that show your unique and original content. You want your first impression to be the best. Use a professional theme that is clean and easy on the eyes. We have a number of blog themes here that were designed to highlight your content. The main purpose of your theme should be to showcase your content, not the other way around. Have your theme be the background for your content by choosing one that won’t clash with your content, has easy to read fonts, organizes your content in an easy to follow manner such as all vertically or horizontally, and has lots of white space to allow your content to breathe.